Looking back a few years, Episerver were leading on their web Content Management and e-Commerce capabilities, enabled via a holistic suite of marketing services supporting not only an editorial marketing experience (CMS + Find), but also a online e-Commerce shopping experience (CMS + Commerce + Find). That mix is was what Gartner and Forrester saw the strength off, by recognizing Episerver a leader in the respective quadrants. Episerver being web marketing and e-Commerce was the reality back then, but are today truly an understatement of what has been achieved since. To put it simply, the perception of Episerver being only a web Content Management and e-Commerce platform is no longer accurate – Episerver has truly pivoted by connecting a suite of important omni-channel experience elements to a web and headless delivery mechanism. That is exactly what experience management is all about! Orchestrating multiple customer centric experiences seamlessly, ensuring our users are heard, recognized and met (at their respective level) during any interaction with one of the many touch points – regardless of that being the associate in-store, buying on the mobile apps, browsing information via a kiosk or reading the brand story on the web. One thing is for sure – moving in to being an experience management suite did not come over night. All successful (and less successful) initiatives over time, like Episerver CMS, Episerver Commerce, Episerver Find, Episerver CMO, Episerver Social Reach and Episerver Mail has contributed to the journey of moving beyond being a Content and Commerce system. What all of these historical initiatives share, is that they were enriching experiences across various touch points – e.g. social, e-mail and web. What they did not share, was that these touch points were too sporadic and disconnected, hence powering content experiences not meeting and greeting the individual user. 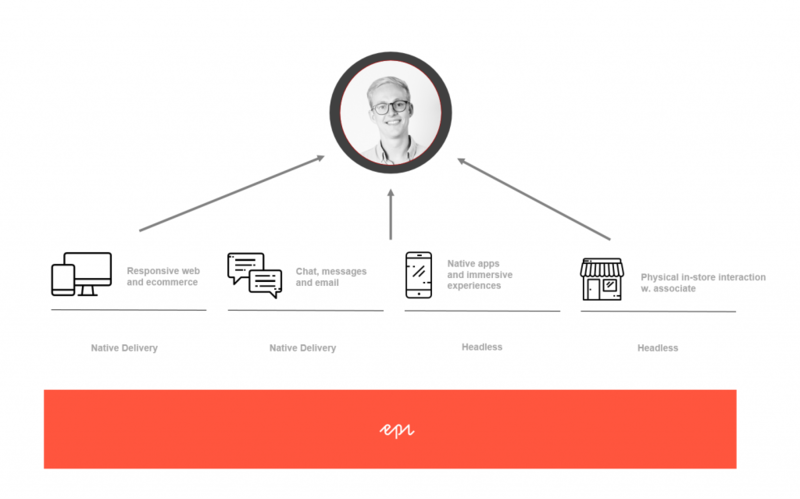 Now, the Episerver eco-system today looks drastically different, and the less successful initiatives has been replaced by a customer centric alternative (+more), contributing with something truly great benefits to the mix; communication consistency and user relevance. I am of course referring to Personalized Find, Episerver Insight (w. Episerver Profile Store), Episerver Campaign, Episerver Social, Episerver Advance and Episerver Perform, which all meets the expectation of recognizing the user, by meeting them where they are. These initiatives adds everything from analytics and prediction, to e-mail marketing, marketing automation, personalization and recommendations on top of the existing Content Management and e-Commerce capabilities. Marrying relevant communication with e-Commerce is what a customer centric experience is all about. But wait, you said orchestration of omni-channel experiences? That’s right, and I mean it! Episerver Find, Episerver Insight (incl. Episerver Profile Store), Episerver Campaign, Episerver Social, Episerver Advance and Episerver Perform are all software as a service (SaaS), with a pre-connected integration to Episerver CMS and Episerver Commerce. 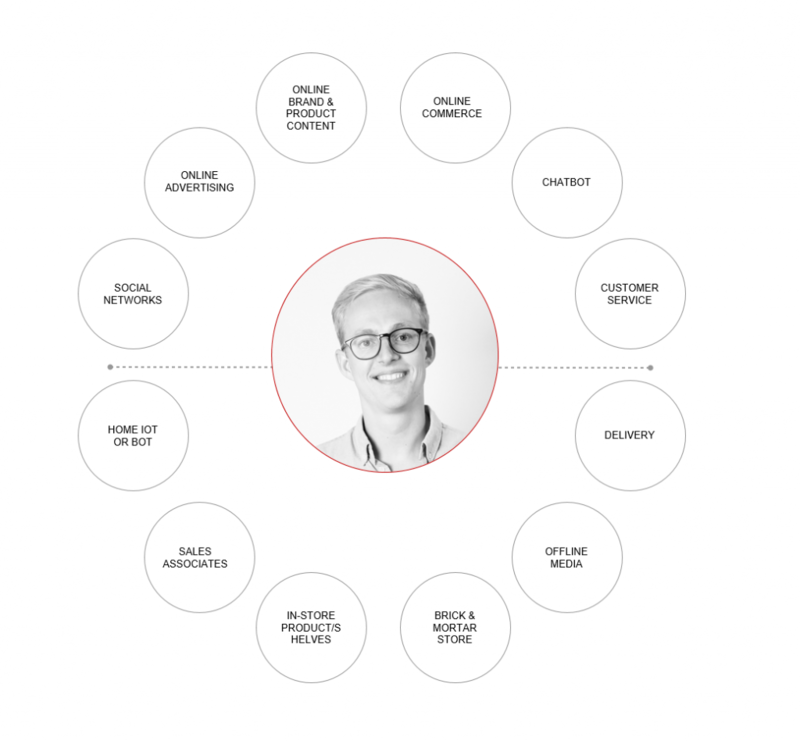 It means that not only experiences delivered by Episerver can benefit, all of these systems can truly make all your touch points customer centric. Wait a minute, it even gets better than that! Episerver’s headless delivery, the Delivery API, enables your Episerver suite to orchestrate the delivery to these previously disconnected touch points as well – entailing the content or assets creating the in-store Kiosk experience, or in your mobile app, can originate from your Episerver experience management suite. So, where can all this take us? A lot of places, dependent on what your objectives are. Let me provide you an example of how we created a consistent in-store experience. Episerver tasked partners to produce and present a proof-of-concept innovation that would improve customer experience. We answered the call and impressed Ascend 2018 attendees – taking home a co-win for the inaugural initiative. Our efforts produced a connected experience across web, mobile and in-store, which we’re demoing and describing here. If you are interested in hearing more, then checkout the interview Episerver conducted right after challenge took place. The original article can be found on Casper Rasmussen's Episerver blog.